Nordica skis have been around since 1939. Since that time, they’ve been on the cutting edge of skiing technology. Their products are incredibly popular, and they’re often considered one of the best skiing brands on the market. But do they really live up to the hype? You probably have a few questions about Nordica skis. What kind of products do they offer? How much do they cost? Are they appropriate for all skill levels? And how do they measure up against the competition? These are some things you should know before buying Nordica skis. Naturally, there are probably a few things you want to know about Nordica skis before you buy from them. What do Nordica skis have to offer? Nordica has a number of quality lines to choose from. Their Enforcer series, in particular, is a very popular line among advanced male skiers. Meanwhile, their Dobermann line is excellent for on-piste skiing. The skis in this line are modeled after their World Cup race skis. Then there’s the Navigator series. This line is based on the Enforcer series and is well-suited for on-trail skiing. Of course, there are several excellent lines for women as well. Their Santa Ana series is incredibly stable and light to handle thanks to its balsa wood construction. It’s most suitable for freeskiing. Likewise, the Astral series is based on a similar design with a Hex Bridge construction. The skis in this line are excellent all mountain skis. Are Nordica skis apapropriate for all skill levels? We recommend Nordica skis for intermediate and advanced skiers. They are incredibly stable, comfortable, and easy to handle. They also perform well on any kind of terrain. These skis have plenty of speed, and they can take turns quickly and easily. This is something that advanced skiers will certainly appreciate. Of course, much of this depends on the specific model. Some of Nordica’s products perform best at a moderate speed. Likewise, some models are geared more towards advanced skiers. These require a certain amount of skill to get the most out of them. But generally speaking, Nordica skis are appropriate for most skiers of almost any skill level. Along with their skis, Nordica is also well-known for their excellent selection of boots. Their Speedmachine line is especially popular. These boots are extremely comfortable and highly customizable. They’re also very affordable. Unfortunately, they don’t perform quite as well as some of the more expensive brands. Nordica has a wide range of other products available as well. They have everything from liners, buckles, bags, and solekits. They also have a decent selection of apparel to choose from. What Are Some of Their Most Popular Products? At this point, you might be wondering which Nordica skis are the best. Here are a few of their most popular products. The Nordica Enforcer 100 is the latest model in Nordica’s incredibly popular Enforcer series. It features Energy 2 Titanium construction. This consists of two titanium sheets and a full wood core that gives you both power and stability. It also has a Hammer Head Nose and an All-Mountain CamRock Rocker Profile. These skis have a 100 mm waist and is recommended for All Mountain skiing. Customers have given these skis rave reviews. They’re incredibly versatile, stable, and agile. They take bumps well and are great for riding through both crud and powder. Customers also loved how they always manage to find an edge in the snow. Complaints were almost non-existent. Some felt the piste could’ve been made better. It has a tendency to swing. The skis is also appropriate for advanced skiers only. The skis will cost between $500 and $700. This is very reasonable for skis of this quality. Overall, the Nordica Enforcer 100 absolutely lives up to its hype as one of the best Nordica skis. It’s one of the highest quality skis on the market for advanced skiers right now. Skis.com gives it 4.8 out of 5 stars. The Nordica Astral 84 is one of Nordica’s best skis for women. These skis use Balsa Core Torsion Bridge Ti construction. That means it uses a single layer of titanium with a balsa wood core. This gives the skis a great combination of power and lightness. It also features a Blunt Nose Shape and an All-Mountain CamRock Profile. The skis have an 84 mm waist and is recommended for All Mountain skiing. Customers felt this was an excellent product for intermediate skiers. In particular, they loved it for its stability and versatility. It performs well on virtually any kind of snow. However, some noted that it doesn’t take sharp turns as well as some other skis. These skis perform best when used moderately. They don’t necessarily excel when it comes to speed or turning radius. The Nordica Astral 84 will cost between $300 and $550. That makes it a very affordable pair of Nordica skis. It’s a very good product if you’re an intermediate skier who’s looking for something stable and dependable. However, you might want to look elsewhere if you’re an experienced skier that wants to speed down the mountain. 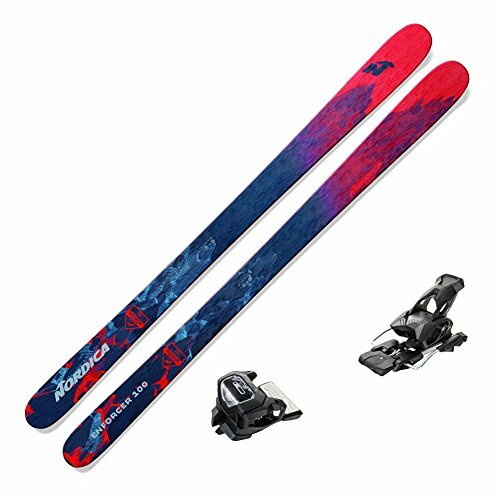 Ski.com gives the Nordica Astral 84 4.7 out of 5 stars. The Nordica Navigator 85 is another excellent pair of skis for intermediate to advanced skiers. It’s made from a Titanium Hex Bridge construction. This consists of a layer of titanium and a poplar and beech wood core. This gives you more rebound and helps you hold the edges. It also features a Blunt Nose Tip and an All-Mountain CamRock Profile. These skis have an 85 mm waist and are recommended for All Mountain skiing. Again, this pair of Nordica skis is very popular among customers for its light weight and stability. Many customers said it practically steers itself. It handles well and turns very smoothly. It’s good for casual skiing, and it can also pick up a decent amount of speed. Like the Nordica Enforcer 100, there are almost no complaints. Some have noted that the radius turns are a bit slow. This is another pair of skis that works best for moderate skiing. The Nordica Navigator 85 will cost between $400 and $550. This is practically a steal for a product of this quality. Overall, this is a fantastic pair of skis regardless of your skill level. Both intermediate and advanced skiers love it, and there are virtually no downsides. 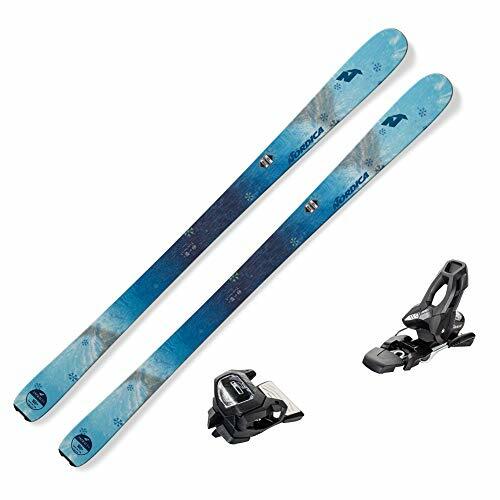 Skis.com gave this pair of skis 4.6 out of 5 stars. How Much Do Nordica Skis Cost? Most of the best Nordica skis will cost between $500 and $900. This is actually a very good price for the quality of their products. Remember, you get what you pay for. Furthermore, their boots will cost between $300 and $800. That’s very affordable for a pair of skiing boots of this quality. You can buy Nordica skis on their official website. You can also find them on Amazon, evo.com, or skis.com. Alternatively, you can buy them in many skiing and skateboarding shops around the country if you don’t want to shop online. You can use the store locator on their official website to find these shops. Most of the basic information and features of these products were gathered from their official websites and skis.com. Furthermore, much of our opinions were informed by customer reviews from sites such as skis.com, evo.com, and proskilab.com. When reviewing these products, we chose to focus on aspects like quality, price, durability, and overall performance. We also considered the recommended skill levels. Some skis are more appropriate for beginners while others are better for advanced skiers. How Does It Compare to Other Skiing Brands? Of course, there are many other excellent skiing brands out there as well. So how do Nordica skis compare to their competition? K2 is another one of the most famous skiing brands on the market today. They’re known for pioneering the use of fiberglass in their skis back in the 60’s, and they’re still on the cutting edge of skiing technology today. Their boots use Synchro Interlock technology which is believed to use energy more efficiently than other boots. K2 skis are comparable to Nordica skis in many ways. They perform well, they’re very stable, and they’re also incredibly versatile. Unfortunately, K2 skis tend to have problems when it comes to high speeds. They don’t grip the snow very well and have a tendency to float whenever you pick up speed. For the most part, K2 is a bit cheaper than Nordica skis. They tend to be between $200 and $500. Some of the higher-end models can be as high as $900. Overall, they make very good equipment for intermediate skiers. However, you might have difficulty with them if you’re an advanced skier that wants to fly down the slopes. If that’s the case, you might want to stick with Nordica skis. Rossignol is a French brand that’s been making skis for over 100 years. Despite their longevity, they’re still innovators in skiing technology today. Their 7-Series, in particular, uses Air Tip Technology. This decreases the ski’s weight without losing any of its strength. Along with skiing equipment, Rossignol also focuses on wintertime fashion. Rossignol’s skis are well-known for performing incredibly well. They have excellent stability and rebound, and they’re capable of taking extremely tight turns. On the downside, their best skis are mostly suited for advanced skiers only. They require a certain skill level to get the most out of them. For this reason, we don’t recommend them for beginning or intermediate skiers. Rossignol’s skis will typically cost between $300 and $900. This is more or less comparable to Nordica skis. In this case, you want to consider your skill level before buying. You might check out their products if you’re an advanced skier that wants a pair of skis that can keep up with you. However, Nordica skis are better suited for intermediate skiers. You should stay with them if you’re not confident in your skills yet. Volkl is another skiing brand that’s been in the game for a long time. They’ve been making skis since 1923, and they’re one of the few German manufacturers that are still in production. Along with making excellent skiing equipment, they also focus on their products’ sustainability. They’ve taken many steps to protect the environment. This includes using recycled materials and avoiding dangerous chemicals and toxins. Volkl’s skis tend to be very accessible and dependable. They’re user-friendly, have great grip, and are extremely versatile. They perform well in almost any kind of snow and are very good skis for beginners. However, some of their skis have difficulty with short turns. They don’t grip the snow as well as they should in these situations. Also, many of their best products lack speed. This might be an issue for more experienced skiers. Volkl skis will cost between $400 and $1000. They tend to be a bit higher than Nordica skis. There’s no doubt that Volkl makes very good products. However, Nordica skis outperform them in almost every category. They’re usually cheaper, and they’re better suited for intermediate and advanced skiers. With that in mind, you’re better off going with Nordica skis. Nordica is popular among skiers for a reason. Their skis are incredibly high-quality. They’re stable, versatile, and perform well in general. They’re not necessarily cheaper than other skis, but they’re not expensive either. On the downside, Nordica skis are not suited for beginners. Some of them require a certain skill level to appreciate. Also, while their boots are comfortable and customizable, they’re not the best on the market. At the end of the day, Nordica is an excellent brand that makes a number of high-quality skiing products. They have something you can enjoy regardless of who you are or what kind of skiing you prefer. Customers absolutely love their skis. And while their boots may not be the best, they are still great for the price you’re paying. When deciding which Nordica skis are best for you, it’s a good idea to consider your needs. What is your skill level? What kind of skiing do you enjoy? And what is your budget? Answering these questions will help you find something you can be happy with for a long time. We 4.3 stars to Nordica skis because although it is very high-quality, it is not suited for beginners. But if you are not a beginner, then definitely it will suit you.